Last weekend I flew down to Los Angeles, California and made my way to The Queen Mary in Long Beach for StokerCon 2017 and the Bram Stoker Awards. It was my first time attending the annual HWA (Horror Writers Association) convention. 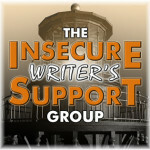 I’m an affiliate member of HWA and working hard to secure the publishing credits required to become an active (full) member. The highlight of the convention was meeting in-person many virtual friends. I also got to spend time with friends I haven’t seen in years. How to Write like a Scenarist with John Skipp. He assigned homework a couple of weeks in advance and brought in a partner to act out only the dialogue from our pieces (all narrative deleted). That was an eye-opening exercise! 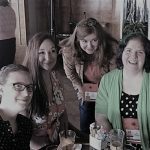 I sat in on a panel discussion: Starting an HWA Chapter. I’ve been mulling over the idea and talking about it with local writers for several months, and the panelists inspired me to pursue organizing a Metro Vancouver/Fraser Valley, British Columbia chapter. If you are a dark fiction writer in this area and the idea appeals to you, please contact me! I need a minimum of five members to start a chapter. StokerCon 2018 is taking place in Providence, Rhode Island in early March next year (the 1st through the 4th). I highly recommend the experience. So wonderful to see you. Time to write, wtite, write! I’m still recovering from the weekend, but I’ve managed a bit of writing. Meeting and spending time with you was great, Carina! Happy to see you there! It was my first HWA conference as well, and I was blown away by how welcoming and kind everyone was. I also loved that there was no division between the “names” and the rest of us, unlike some other conferences we attend. 😉 StokerCon felt a lot more inclusive, and I think that’s a huge shot in the arm for the attendees.